Will New Hobbit Footage Change 3-D Forever? 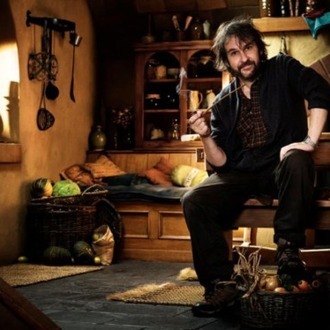 After a bumpy inception period, things have been rather quiet when it comes to The Hobbit, Peter Jackson’s two-part prequel to the Lord of the Rings trilogy. That all changed today in Las Vegas, where Warner Bros. debuted ten minutes of 3-D footage that Jackson shot in 48 frames per second as opposed to the slower shutter speed of 24 fps, which has served as the industry standard for decades. Jackson is hoping to convince exhibitors to accommodate the 48 fps approach (which James Cameron also plans to use for his sequels to Avatar), but the response today from pundits was wildly mixed: Some think Jackson has forever changed the look of cinema, while others worry that his movie no longer even looks cinematic. It was, simply put, mind-blowing to see in 48 frames per second. It’s literally like being on the set next to the actors as they’re performing … You can not get a more genuine, realistic viewing experience than this unless you are watching a performance live. You’re right there and it’s breathtaking — no strobing, no flickering, pure fluidity and much more density of information. This makes the action scenes seem more realistic because it looks too real to be tricked up, and the CG stuff looks astonishing for the same reason … In a manner of speaking I was creaming in my pants this morning. This is almost too good, I was half-telling myself. Here’s what The Hobbit looked like to me: a hi-def version of the 1970s I, Claudius. It is drenched in a TV-like — specifically 70s era BBC — video look. People on Twitter have asked if it has that soap opera look you get from badly calibrated TVs at Best Buy, and the answer is an emphatic YES. The 48fps footage I saw looked terrible. It looked completely non-cinematic. The sets looked like sets. I’ve been on sets of movies on the scale of The Hobbit, and sets don’t even look like sets when you’re on them live … but these looked like sets. The other comparison I kept coming to, as I was watching the footage, was that it all looked like behind the scenes video. The magical illusion of cinema is stripped away completely. Said Jackson in his taped introduction to the footage, “As a filmmaker, I always want to create a strong sense of reality, to allow the audience to lose themselves in whatever the cinematic story is that I’m presenting.” But is reality what most moviegoers want to see, especially in a fantasy film?